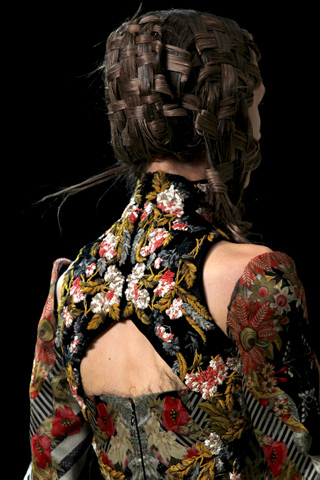 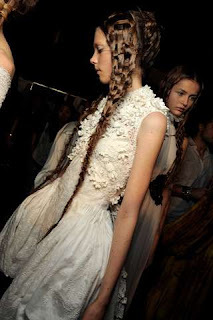 For the Alexander McQueen Spring 2011 collection, Sarah Burton devised a modern/medieval hairstyle. 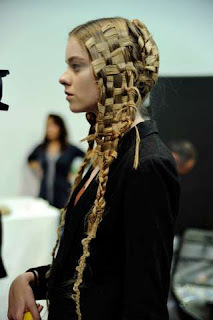 Rather than use traditional braids which are created by twisting three strands together, Burton modeled these plaits on "plain weave" (tabby weave) fabric...one over, one under. 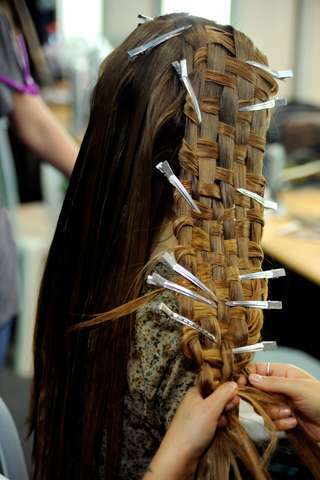 It is one of the most fundamental textile structures, and applied to hair it evokes the simple and humble while being shockingly new.